About us | DCI Resources, Inc.
DCI Resources, Inc., a member of the NAPBS, provides background screening solutions to companies nationwide. Our online system provides timely, efficient and pre-integrated customer oriented reports based on your company’s individual needs. Our state of the art web based system requires NO SOFTWARE to purchase, no setup fees or monthly fees, and provides state of the art security and data protection. We separate ourselves from our competition by providing accurate reports with the fastest turnaround possible while providing readily accessible customer service resulting in high customer satisfaction. Information about your applicants is available on the web 24/7, including real time status updates of every search so that nothing falls through the cracks. At DCI Resources, Inc. we know that the primary purpose of employment and rental screening is to allow you to make objective and informed decisions about your potential employees or renters. Screening an applicant can verify the facts stated on applications or resumes… can reveal a criminal history or an individual’s poor driving record… can reflect a person’s sense of responsibility, or willful disregard for it. By using state of the art computer technology, public information sources and court record search techniques, a DCI Resources, Inc. report will give you a broader and more accurate view of a perspective employee or renter. To discourage applicants with something to hide. Simply having a prescreening program discourages job applicants with a criminal background or falsified credentials. To eliminate uncertainty in the hiring process. Many employers have discovered the hard way that relying on instinct alone is not enough. Hard information is also an important part of the hiring process. Te demonstrate due diligence. All employers have a reasonable duty of care in the hiring process. This means an employer must take reasonable steps to determine whether an employee is fit for a particular job. To encourage honesty in the application and interview process. Employers find that just having a background program will encourage applicants to be more forthcoming about their history. Just engaging in a prescreening program demonstrates due diligence and provides an employer with a great deal of legal protection. Without the ability to check the reliability of an applicant’s claims, the manager or personnel manager is at a disadvantage. A background screening investigation can verify the applicant’s information and unmask deliberate attempts at fraud. We design programs for the specific risks and requirements of individual employers and will work with you to correlate the level of background search to the level of authority and responsibility required. This will allow you to control costs while maintaining sufficient screening standards. DCI Resources, Inc is a member of the NAPBS with expertise on employment screening and the federal FCRA and all 50 states consumer compliance requirements. Clients are provided with all necessary FCRA and state required forms and consumer notices. DCI Resources, Inc. prides itself on its open door policy for any customer to call with issues or questions. A customer service representative will be assigned to your company that is familiar with your company’s specific needs. We offer ordering options such as customized packages and individual pricing at competitive pricing. All searches and reports are returned with an average turnaround time of 72 hours or less. If there is a delay for reasons that are out of our control, you will be notified online with in-depth notes and an ETA. It is better to know who you are really hiring because trying to put a “spin” on a bad situation that could have been avoided makes you look worse. 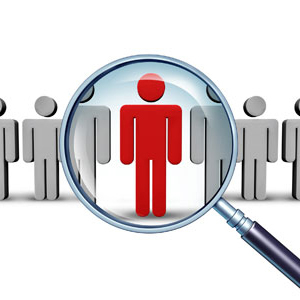 It is no secret that many employers give little attention to pre-employment background investigations. Instead the focus is placed on applications, interviews, resumes, skills tests and other traditional screening techniques. Today’s corporate shareholders demand more assurances than ever before, DCI Resources, Inc. provides you with the peace of mind your company deserves when potential applicants are less than telling. The process of selecting an individual for a particular job cannot be reduced to a formula. It requires the unique skill and judgment of a professional within DCI Resources, Inc. who knows and utilizes the appropriate resources. Go Beyond the Resume…use DCI Resources, Inc. where the words “Tell us about your background” have a different meaning.